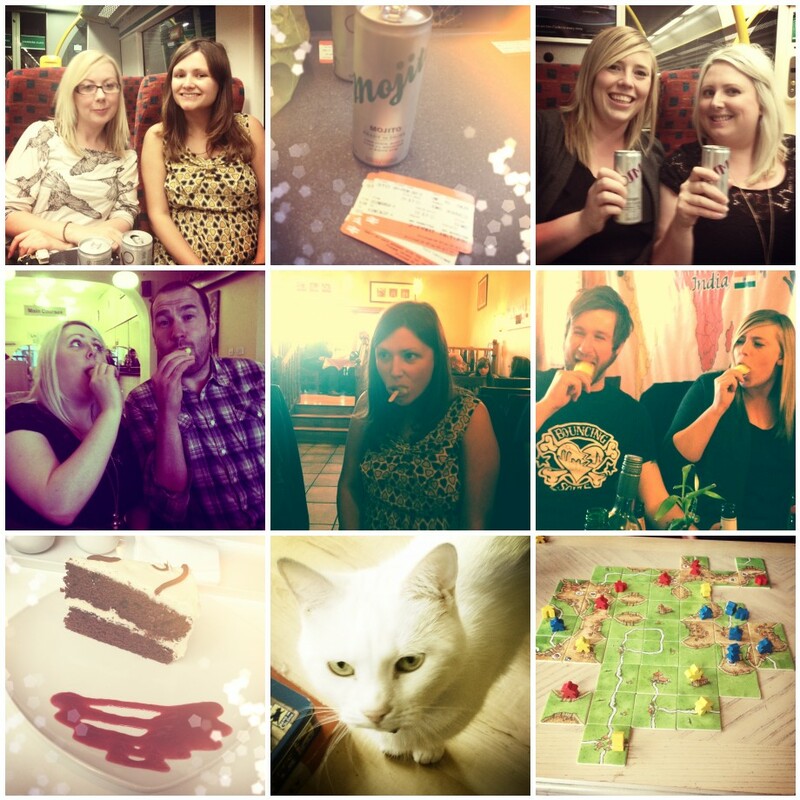 Didn't get round to writing a weekly summary post last week so here's a double installment! The highlights of the first week were a trip through to the KDY with my best buds where we finally visited the Spice Jones World Buffet after having talked about it for almost a year (turns out, it's not great!). This was a goodbye dinner for Jemma and James who moved to France this week to start a new life as house sitters - we will miss them lots! Also this week, me and Emma went through to Glasgow to visit the lovely Sophie who has just moved into a new flat in the west end. We went to Fifi & Ally's for lunch and amazing (but expensive) cakes, and then went back to her flat to see the kitties and play board games, like the responsible adults that we are. This week has been a bit quieter (hence the lack of pictures! ), I went to see The Dark Knight Rises for the second time on Thursday night with some guys from work (first time was at the Imax last weekend) - if you haven't already seen it, you totally should - it's amazing! On Saturday B took me out for for a nice lunch at International Starters at The Shore, then we had a little wander round Ocean Terminal and went home to watch the Olympics for the rest of the day. Today I've been mostly tidying up and organising my clothes/make up etc as things were starting to get a bit out of control again, also I've been writing and scheduling a few blog posts, taking photos and planning my blog rebrand (coming soon...).